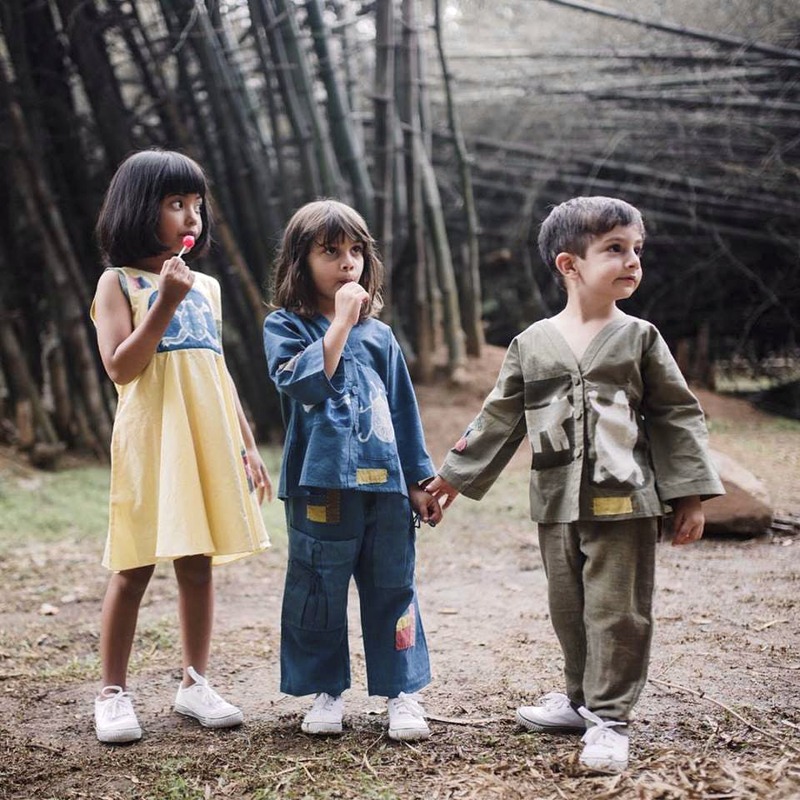 MuuYee does fun, cute, and mostly gender-neutral apparel such as shirts, trousers, jackets, kurtas, and dresses for your little ones that are made natural fibres and hand dyed using botanical natural dyes such as dried pomegranate and Indian madder twigs. If you are a parent, you will know finding good clothing for your children is as hard as making them go to sleep on time. Enter MuuYee (Konkani for ant) and their sustainably made clothing range of shirts, kurtas, jackets, trousers, and dresses. Crafted from fabric such as khadi and organic cotton, the apparel is gender neutral (except for dresses) and full of whimsical designs that your kid will have fun sporting it. Think animal motifs such as alligators, frogs, ants, and monkey, and colourful designs. The designs are brought on by the traditional and natural dying methods such as Shibori, Batik, and Bandhej that the label uses, and patchworks courtesy the Kantha weaving and embroidery. Plus, they also use natural dyes such as dried pomegranate peel, leaves, fruit pods, flowers, and madder root too. The garments, ideal for kids between one and seven years old, are loose fitting and functional with pockets, so your kid could wear them to a birthday party or day outing. You could totally get them the shirts that are indigo dyed and feature forest creatures. The dresses, such as light and breezy Katano dress in bright yellow is perfect for a picnic in the park. They don't have a physical store yet, and you will have to shop for them online on their website. Apart from wearables, they also have a range of playmates, plush toys made using scraps of clothing from the apparel and featuring animals such as a lion-tailed macaque, turtles, and thrushes in whimsical patterns and colours.